SSSSHHHH….. Shark! SHARK!!! These words were etched in the minds of moviegoers in the 70’s as they witnessed the creative genius of Peter Benchley’s JAWS movie. This experience adds to the mystique and thrill of shark fishing. There is something primal about sharks, nature’s apex predator that has survived in Earth’s oceans for hundreds of millions of years, fine tuning their incredibly efficient design. There is also an innate fascination for sharks in people, be it fun or fear. 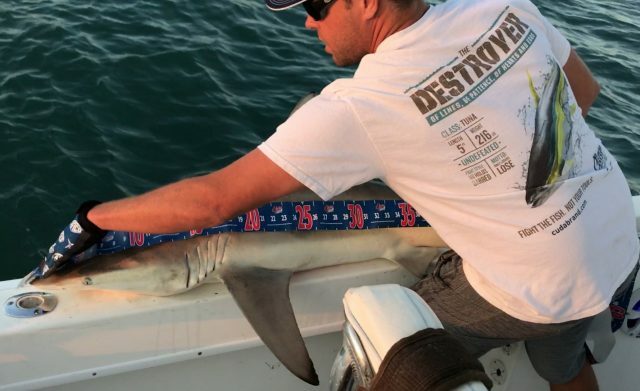 Shark fishing is one of the most popular charter fishing activities here in Central Florida and we have no shortage of sharks in our fertile waters. All Water Adventures offers a wide array of aquatic activities for locals and visitors alike. Shark fishing charters are a big part of this, as well as sight seeing and eco tours. Most of the shark fishing is catch and release and now AWA and BD Outdoors are excited to kick off a new element to the shark fishing craze. Starting July 4th, 2017 and running until July 3rd, 2018, All Water Adventures is kicking off its first AWA Shark Tagging Derby. 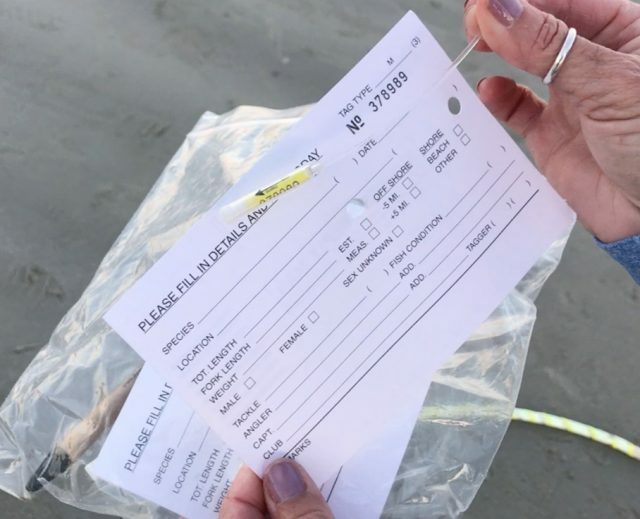 Participants who charter a shark trip with AWA and registered for Dereby will get three tags to deploy when they catch a shark on their fishing trips. Those tags have a number and it will be assigned to the angler or party who catches it. From this pool of tag numbers, AWA will hold monthly drawings for great prizes and swag from local businesses who support the tagging efforts, which greatly improve our knowledge of these key ocean species. Protecting and learning about the sharks will now have an added bonus for Tagging Derby participants. The shark-tagging program, that you can be a part of, has an extensive history since it’s inception in 1962. By 2013, over 243,000 sharks made up of 52 species have been tagged. From this group, more than 14,000 sharks of 33 species have been recaptured. The longest time at liberty for any shark in the program is 27.8 years by a sandbar shark, which is a common shark on the Space Coast. Data from tagging programs provide valuable information on many aspects of shark biology and habits. The need for international cooperation in such work is underscored by the fact that many shark species have wide ranging distributions, frequently traverse national boundaries, and are exploited by multinational fisheries. The shark-tagging program is also an important tool used to increase our biological understanding of sharks and to obtain information for rational resource management. The tagging of sharks provides information on stock identity, movements and migration, abundance, age and growth, mortality, and behavior. In addition to the monthly random drawings in the AWA Shark Tagging Derby, AWA will present prizes and awards at the close of the year to many “Top” categories. Shark Tagging Derby – blacknose shark opener. Have a Question? Want a customized tour? Call us!